Creating content clarity. One client at a time. An Interrobang - who knew? Who knew? I, the arbiter of all things punctuation in my house and admitted serial-comma-lover, just learned that I’m not at smart as I think I am. My days of proudly trotting out “It’s called an ampersand!” to my grade-schooler — or, better yet, “It’s not really called the ‘at’ sign, you know; it’s an ampersat” — are apparently numbered, as I’ve been humbled by a recent post by Jack Shepherd at Buzzfeed. 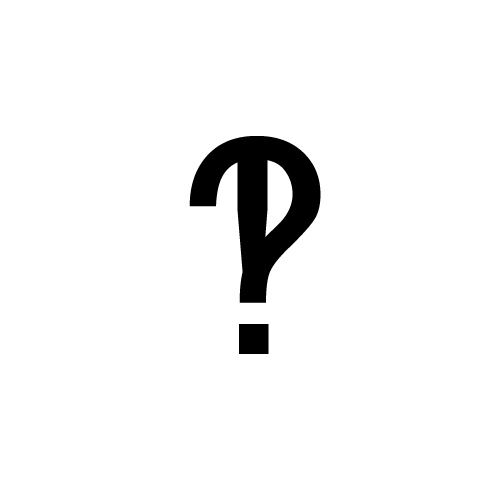 If you’ve never heard of the Interrobang, the Solidus, or the Pilcrow, you’ll love his piece detailing a dozen-plus under-the-radar punctuation gems. Aside from the obvious geek appeal, it’s a marvelous reminder that our language is complicated, arcane, richer than we often realize, and sometimes just plain silly. Did you know there’s a mark called a Snark? Seriously! There is. And it may soon replace the serial comma as my favorite. Sigh. Don’t you hate it when people say, “Do as I say, not as I do”? That is the advice I’ve been forced to give my clients lately, due to the disastrous state of my blog (or lack thereof). There’s a sad irony to a content strategist making money for others by creating killer content and content plans — yet keeping the cupboard oh-so-bare on her own site. The cobbler’s children have no shoes, the pot calling the kettle black, fill in your own cliche here. And not a day goes by when I don’t feel guilty about not blogging. But the thing is, I think I often do in my professional life what I do in my personal: put others first. Which is awesome for my clients — when I stay up until midnight fine-tuning their brand voice, they’re thrilled. Think of your blog as a place to share and comment, not necessary teach or educate. As a former journalist, I feel an almost Catholic guilt about writing anything that doesn’t serve a greater good. But once in a while, posting about a tiny breakthrough that made my life easier (hello, Lower function in Excel!) is just fine. Blog in bits. Start an idea in the morning, sketch it out a little at lunch, add a few lines after dinner, and voila! The cake is baked. Doesn’t have to be a 5-course, sit-down dinner every time. So I’m resolving, starting now, to get back on that blogging horse. Just do it. A thousand-mile journey begins with the first step. And so on. And now that they’re all out of my system (whew, pent up pressure! ), I’m also resolving to keep future cliches to a minimum. I mean it this time. This question, it must be noted, was uttered after I had done my whole dog-and-pony show/PowerPoint presentation about the value of content strategy, what the process was, what deliverables could be expected, and so on. Disheartening, to say the least. But it got me thinking. How does one describe, to the layperson, the difference between content creation and content strategy? A content creator is the jockey. A content strategist is the stable owner. 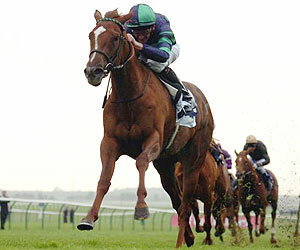 The jockey has a super-crucial role, of course. He or she is responsible for the end product: a technically sound, well-run race (and hopefully the wreath of roses). But in most cases, they’re not the ones who provided the vehicle for the race — the horse. Same thing in the world of content strategy. We love our content creators. They’re an essential part of our team. They make us look good and make us successful and we love seeing them ride our strategies to success. And when we find the talented ones, we treat them like gold so we can keep them around forever. But while we may occasionally also create content, much as an owner may hop into the saddle, the main job of content strategists is to create the vehicle: the larger plan and all its ingredients. And yes, that includes a whole lot of unglamorous work, including research, business wrangling, management, supervising the care/feeding/housing of content, training writers, testing, and making decisions about into which channels and formats our content should go. Is this the perfect analogy? I don’t know. But I’ll tell you this much: a content strategist is much more than a word jockey. And I look forward to the day when everyone knows the difference. Got a better explanation of the difference between copywriting and content strategist? I’d love to hear it! Share your comments here or tweet me @cc_holland.